This K-4 model has a satin finished Bohler M390 blade and a blue anodized titanium handle. 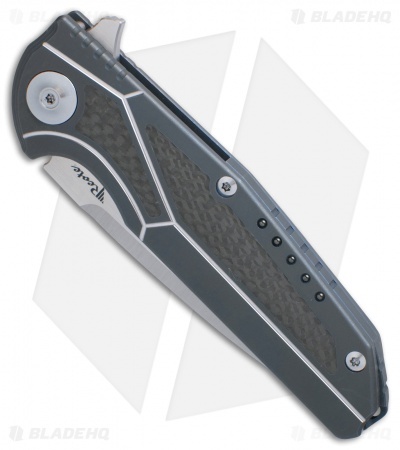 It comes outfitted with carbon fiber inlays and satin hardware. 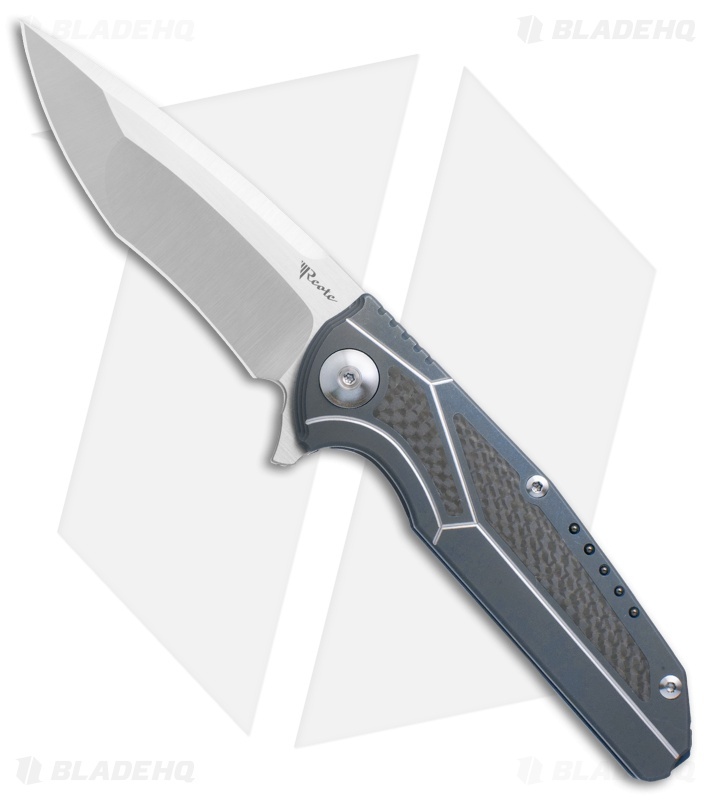 The Reate K-4 features a healthy balance of hard angles and flowing curves in a package that begs to be carried. It sports a recurve blade with a compound grind and swedge. The frame lock handle is made from titanium with a lanyard cut backspacer and ceramic ball accents. The K-4 comes complete with a milled titanium pocket clip for secure everyday carry. Bohler M390 blade steel offers exceptional edge retention, wear resistance, and cutting performance. 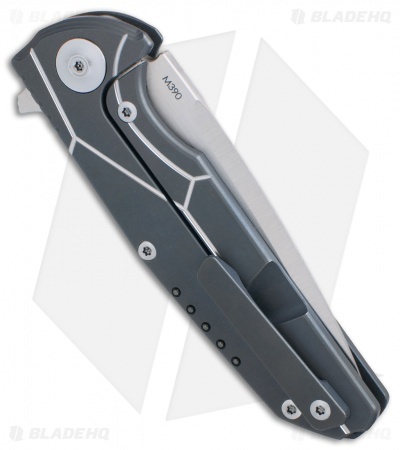 Ceramic ball bearing pivot allows lightning fast, one-handed blade deployment. 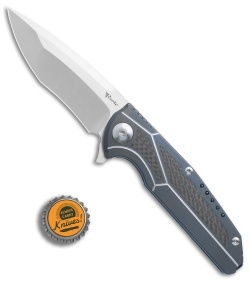 Titanium frame lock construction with a reinforced steel insert provides rock solid blade lockup.